In the pantheon of the greatest Portuguese goalscorers, one man stands head and shoulders above all others. Whilst some would say this must surely be Cristiano Ronaldo, others, with longer memories, may advocate the case for accolade going to Eusébio. Cases may be made for Mário Coluna, José Augusto Torres or, reaching further back, to José Águas. But not one of these celebrated luminaries have records that come remotely close to the man who is not only the greatest scorer in the history of Portuguese football but also has a reputable claim to be the most prolific striker in the history of the game, with an officially recorded 309 goals scored in 189 championship games; a tandem of figures that leap to an astonishing 544 goals in 334 games when fixtures in all professional competitions are taken into consideration. Consider those statistics again. The ratios are in precisely the correct order: 309 goals in 189 games and 544 in 334; averaging out at a scarcely believable but entirely verifiable rate of over 1.62 goals per game. In comparison, Eusébio’s strike rate is marginally above a goal per game, whilst Ronaldo averages a comparatively insipid 0.75 per game. This, of course, means Portugal’s – and indeed, statistically, the world’s – greatest goalscorer of all time went by the name Fernando Peyroteo. It would be unduly harsh to condemn anyone reading this who may now be offering up the self-enquiring question of “who is Fernando Peyroteo?” This is the tale, the exploits, the triumphs and the disasters, of a pioneer of legendary goalscoring excesses. 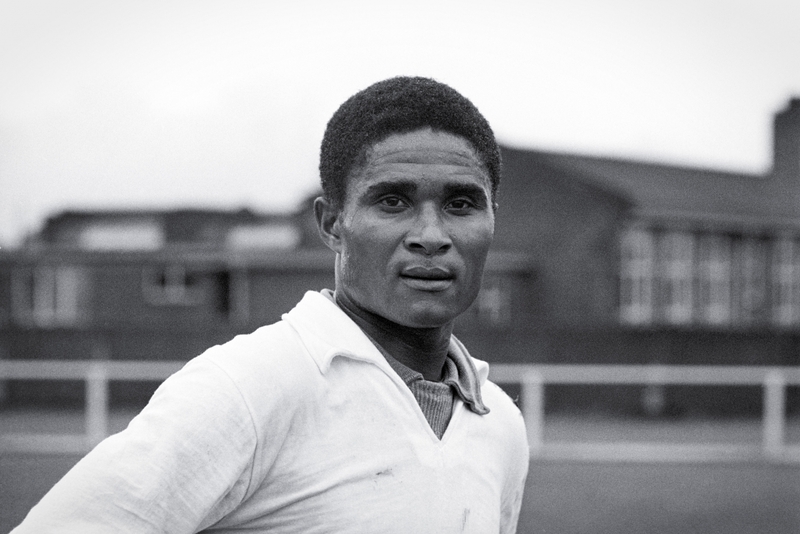 As with Eusébio many years later, Peyroteo was born not in Portugal but in one of their former African colonies. Whilst the Benfica legend hailed from Mozambique, Peyroteo was a native of Angola. Born in the small town of Humpata in the Huila province of the country, he entered this world on 18 March 1918, some months before the end of World War One, and his family name owes much to the Spanish heritage of his paternal grandparents. Growing up, he was a fan of the Lisbon-based Sporting Clube de Portugal, a fact that SCP would be eternally grateful for in future years, and was introduced to football thanks to his elder brothers playing for Sporting Clube de Moçâmedes. The similarity to the name of the club for whom he would tear up records books playing for is thought to have influenced his selection of Sporting as his boyhood heroes. Although a follower of football, his physique as a boy seemed ill-suited to the game and instead he was encouraged to take up a number of other sports. His natural athleticism made him a proficient gymnast as well as at swimming, rowing and basketball. Football was his first love, though, and despite progressing other sports, he always came back. In 1932, at the age of 14, Peyroteo would join Atletico Clube de Moçâmedes, the local rivals of his brothers’ club. His siblings had endured a dispute with the trainers at their club. Such being the case, the younger brother looked elsewhere. During his school years in the town of town Sá da Bandeira, he would first display his ability to find the back of the net with startling regularity at Liceu Diogo Cão, a success that would see him join Sporting Clube de Luanda, who were affiliated to Sporting in Lisbon. The move would lead to the inevitable progression to Portugal and an opportunity to prove that his exploits in Angola were transferable to the big stage – albeit that the journey came by a rather circuitous route. Peyroteo was 19 when arrived in the capital city, accompanying his mother who had moved there for health reasons. A family friend in the city, Aníbal Paciência, who played for Sporting, was aware of his exploits in Angola and agreed to introduce him to the club’s management. It was a hugely significant moment for all concerned. Initially his impressions were hardly favourable. Used to a far more relaxed environment, he considered the noise and smoke in the big city hardly conducive to sporting success, but when offered the chance off an opportunity to join the favourite club from your boyhood, what impressionable and ambitious young footballer could refuse? In August 1937, he first joined training at the club and immediately impressed coach Joseph Szabo, scoring three times in a practice game. The Hungarian, who had also recently joined the cub after a time spent at Braga, was so enamoured by the talents of the young forward that he ensured the impressionable youngster visited training four times a week, whilst most of the other aspiring players were only there twice. It was an astute judgement, and the club would reap rich dividends from the perception and time invested by the coach. Szabo saw in the young Peyroteo a precious diamond in the rough, that when polished would cut through the strongest of opposition defences. He insisted that the club offer him a contract without delay. 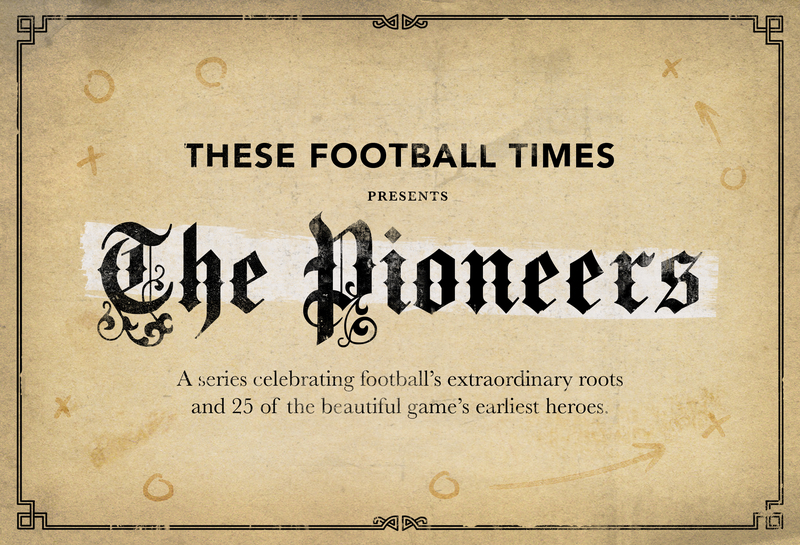 They duly obliged and football’s stage was set for the entrance of its most prolific star. At this time, legend has it that an emissary form Porto approached the young forward telling him that the club would offer substantially more than Sporting were offering if he would switch allegiance. Peyroteo declined the offer, insisting that the deal with Sporting had already been signed. It hadn’t. His heart, though, was set on playing for his boyhood favourites. It’s a story that Sporting fans delight in retelling. The agreement he later signed would give Peyroteo 500 escudos premium and a monthly salary of 700. It was a deal that placed a still yet unproven player among the best paid at the club. That wouldn’t last long. He would soon become the best paid and he rewarded his club in double-quick time. A debut performance against Benfica in September saw him bag a brace in a 5-3 victory. For the recorders of the game’s outstanding exponents and exploits, a pen loaded with copious quantities of ink, would now be required. Peyroteo was on his way to writing out a goalscoring history that will surely never be surpassed. For any footballer to become a prolific goalscorer, there’s a tendency to have a particular attribute with which they excel. Some are strong in the air, while others may have been blessed with searing pace or a strong physique with which to muscularly dominate defenders. A powerful shot from either foot often helps, as does the ability to go past players or have a knack of being the right place at the right time. Contemporary accounts of Peyroteo suggest that most, if not all, of those traits were characteristics of his. An oft-quoted appellation of “The Tank” speaks of his power. Across the next dozen seasons, Sporting wallowed in the warm glow of the goals their forward would score for them. As part of a front line that also included Mourão, Pireza, Soeiro and João Cruz, the club’s fans would hail the line-up as the Cinco Violinos (Five Violins,) and if their strings produced a symphony of success for the club, Peyroteo was surely the Stradivarius and leader of the quintet. During his time with the club, Sporting would secure five Primeira Liga titles, and Peyroteo would finish as the club’s top-scorer as many times. They would also secure the Taça de Portugal on five occasions, adding the Supertaça Cândido de Oliveira once. Peyroteo would be rewarded with individual acclaim. The Bola de Prata title, for the country’s top goalscorer, fell to him in 1938, 1940, 1941, 1946, 1947 and 1949. He would also score 13 times in 20 outings for Portugal, at a time when international opportunities were greatly limited by World War Two. 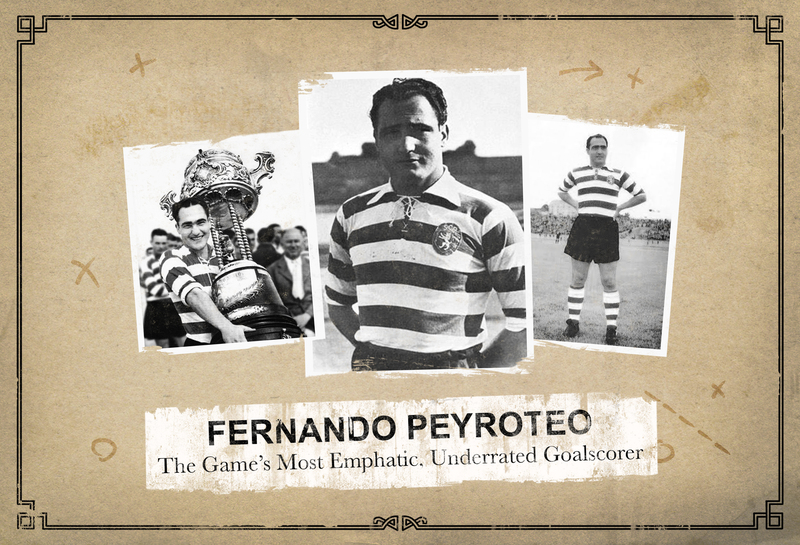 Goals were the currency that Peyroteo dealt in, and in his boots, he had a bank account overflowing with them. Amongst his treasure trove of strikes, particularly of note are the nine goals scored in a single game against Leça and eight notched against Boavista. He would score six goals on no less than four occasions, five goals nine times, four in 18 games, and garner no less than 42 hat-tricks. No record of a goalkeeper and defensive unit who shut him out for a game appears to exist, if there were any to find at all. On such rare occasions, there must have been an aura of disbelief and wild celebrations in equal measures. Amongst such exploits, it remains difficult to isolate what would be the signature performance. Those games with nine and eight goals would have given the opposing goalkeepers a backache in fishing the ball out of the onion bag on so many occasions, but Peyroteo was certainly not a flat track bully only capable of taking lesser teams to the cleaners. He would often save his best performances for the major games – and local rivals Benfica were among his favourite victims. The opening goal in the Imperio Cup, which opened the new National Stadium, led to a 3-1 victory over the Eagles and also won him the Stadium Cup, awarded by the government to the first goalscorer there. There could hardly have been a more apt winner. He would also score all four goals in the derby game of August 1948, when Sporting triumphed over Benfica on the way to the league title. In all, he would score 64 times against Benfica, who must surely have become sick of the sight of him. Such resentment and frustration boiled over in another derby game when Benfica defender Gaspar Pinto tussled with the forward in a forlorn attempt to foil his attack. A disparaging comment by Pinto trailed after Peyroteo. A swift punch to the defender’s chin, and one of only three dismissal across his whole career, showed that the forward’s striking prowess was not limited to the ball. In somewhat of a surprise – and likely to the great relief of any number of goalkeepers of Portuguese clubs – in 1949, at the relatively young age of 31, Peyroteo decided to hang up his boots and retire. Some theorists have suggested that the move was prompted by a desire to access the money available at the time to players from farewell parties. A sports shop owned by the player in Lisbon had been experiencing financially troubled time and the money gained from the club at the farewell would help to pay off debts. 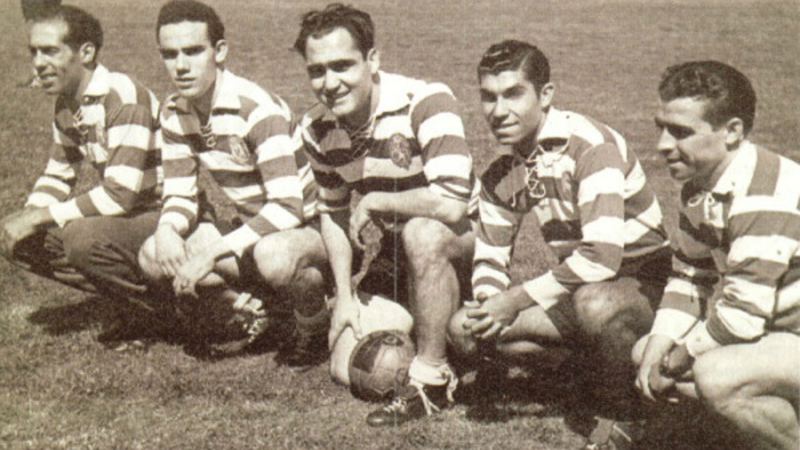 Whatever the truth, Peyroteo played his last official game for Sporting on 25 September 1949. His farewell was marked by a match against Atlético Portugal, and afterwards Peyroteo made a farewell speech to the Sporting fans: “I have been a soldier in the ranks of national sport, and a soldier does not escape from his duty, no matter what the circumstances. But today I recognise that I am an old soldier … I can no longer meet the demands faced by a football player who wants to stay in shape and be useful to his club and to the sport. When I enter the field I am filled with enthusiasm, but after half a dozen kicks on the ball, an inexplicable tiredness falls on me.” On 5 October 1949, the curtain came down on the career of football’s greatest goalscorer. Despite the money gained from his farewell helping to assuage the losses of his shop, it failed to stem the tide of problems and he would later return to Angola for a brief period, before finding that the world had changed around him and he once again arrived in Lisbon unsure of the future. He would be granted the honour of managing the national team, but his success in that role was in stark contrast to his playing career. His tenure lasted a mere two games. The second saw a 4-2 defeat in Luxembourg. It was the sort of result that would doom any manager, and this was no exception. There was a hidden irony in that game, though. As the great goalscorer bowed out, another aspiring African-born player made his international debut. Peyroteo had selected the young Eusébio for his debut to face Luxembourg. No-one knew it at the time, but the game marked the passing of the baton from one great African-born Portugal striker to another. Fate also had an unusually harsh twist in store for Peyroteo. In a veterans game in Barcelona, the now ageing former forward suffered an injury requiring surgery. Things went amiss on the operating table and one of the legs that had carried Peyroteo from Angola to unparalleled success was amputated. On 28 November 1978, following a heart attack at the age of 60, Peyroteo died. Forty years later, Sporting would retire the number nine shirt that he had worn with such distinction whilst scoring so many goals for the club. It may have come too late for the former hero to appreciate but it was a fitting tribute anyway. Surely no other forward at the club would have been able to fill out the shirt as Peyroteo had. In a similar way, it seems immensely doubtful whether any players present, or to come, of any nationality, will ever eclipse the exploits of the man whose achievements cast all others into the shade. Debate is often raged on social media between fans of many generational talents, principally Messi and Ronaldo, as to who is the greatest goalscorer of alltime. Perhaps such advocates should take a moment to reflect on matters of yesteryear and consider the inimitable record of Fernando Peyroteo before making such calls.